Living in a smallish 2 bed flat has meant that we have to make sure we have a good amount of storage especially with having a nearly 17 month old who has so many toys. Not long ago we got a new bed and chose to go for an ottoman bed and we are so glad we did as we have so much more space to store bits underneath. 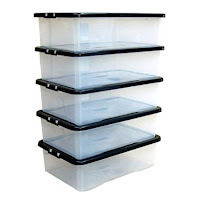 Under our bed we have these plastic storage boxes. They are a great size and you fit quite a bit in them and we have managed to fit 8 of these boxes under our bed. 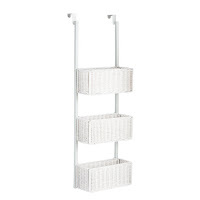 One item I would love to get to hang over our bathroom door is this over the door storage basket. 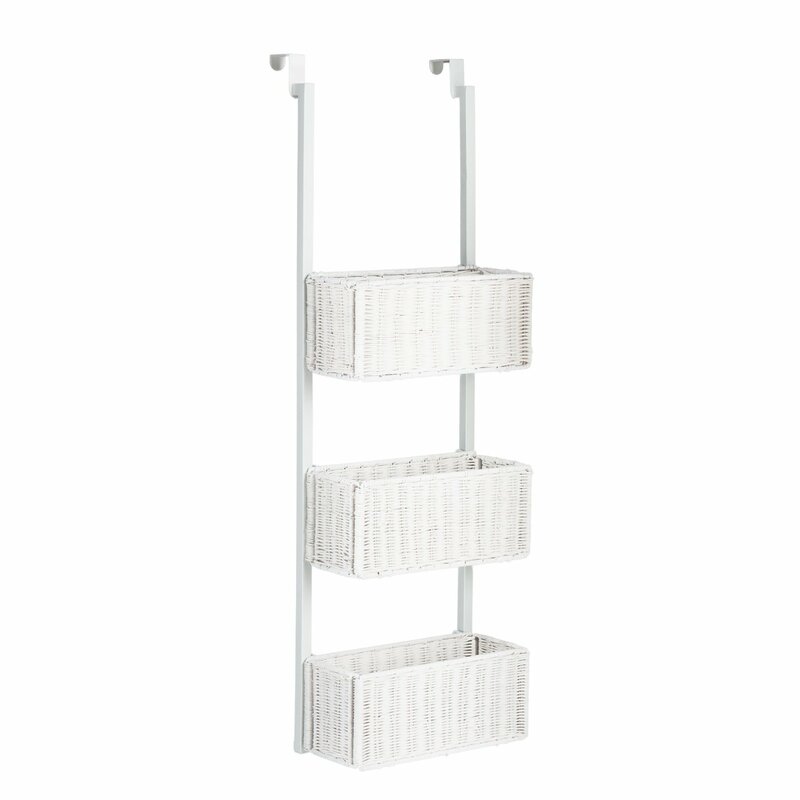 This would be ideal for putting cleaning items out of Blake's reach. The only issue is that I think this one is overpriced but I am looking to find something similar but cheaper. For Blake's room we recently purchased some Foldable pop up storage boxes we picked the road works design as it works well in his room with his play mat from Ikea. Not only are they a bright and colorful design but they are also a great size and currently store Blake's Happyland toys. 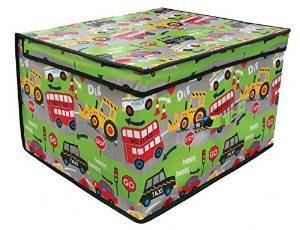 BLOKPOD is another fab toy storage item as you can store loads of different things in it. You can read about Blockpod and my thoughts here. I currently have Blake's Megablocks stored in it and once he starts playing with lego/duplo than that will then be stored in Blockpod instead. We also have a good size Ottoman which we use as extra toy storage. This a great size and he still has a good amount of room left for toys. I like that this one has a hinge lock to prevent the lid from dropping when open. Last of all we have got a 6 cube unit which we got from Argos you can also get them from Ikea as well and I know you can get different size cube units. 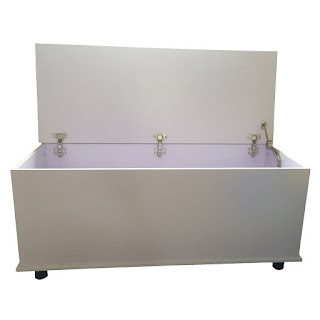 This is the one we have although we have been thinking about getting a taller one so we can have more storage space. What do you think of my storage ideas? I have loads more and some we unfortunately can't do as we are renting. I've heard so much about the Blokpod, I want to give it a try. Underbed boxes are a necessity, really! Really great. The Ottoman is wonderful for storage. We lack of space also. Thanks for sharing your ideas. Those are all really great storage options. The over the door storage looks really handy, I could use that in the nursery and the bathroom. How brilliant! 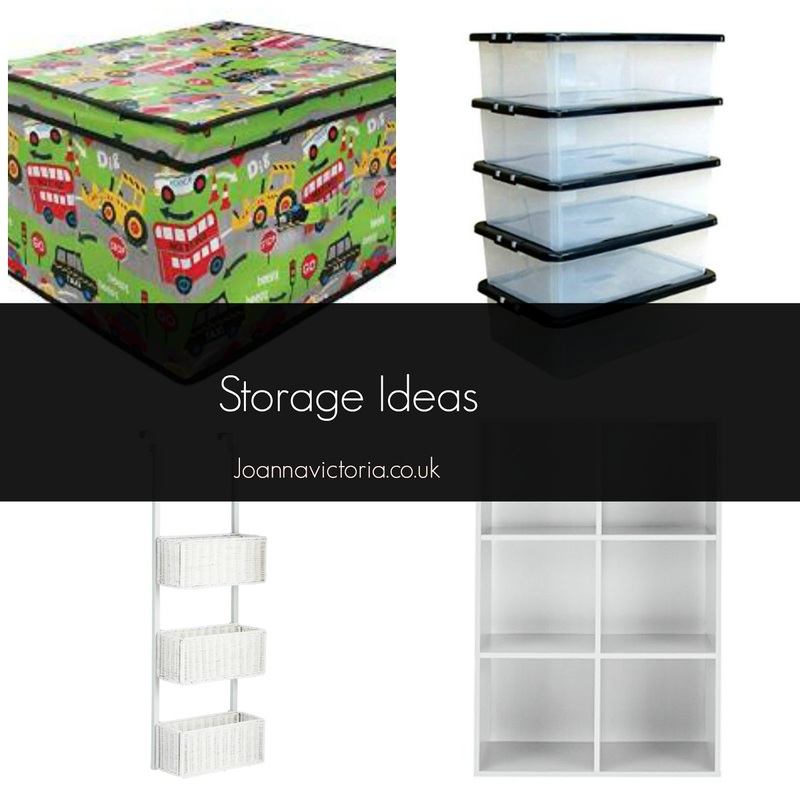 I am always looking for new storage idea. My Husband thinks I have a problem with buying boxes - I think I might have too haha. I love the blockpod, that really is a great idea and I may have to buy one although £40 seems like a lot - is it worth it? We have those boxes under H's bed too and they are useful for big toys and clothes he is waiting to grow into. Great ideas. For someone who's entire house is a dishevelled toy box, this is awesome. These are great ideas! I love the hanging baskets - so cute! 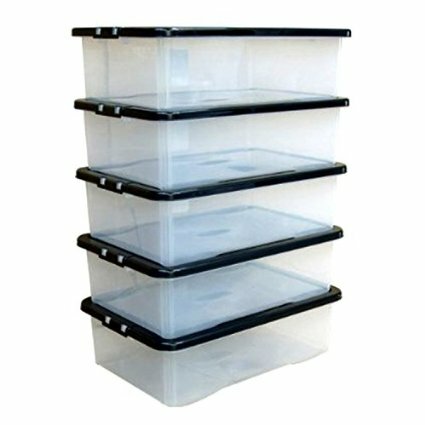 We have these under our bed and hopefully in my new place I will have these storage boxes again because they are so handy! the Blokpod storage system would be ideal for my nephew, he has so many toys. Storage space is something I really need right now. LOve the door baskets. Great storage solutions. I feel like I'm overrun by storage because we have such a small home too.